woody debris from a recent timber harvest engulfed in bright orange flames. substance with serious potential for improving soil. and forest managers learn about the benefits of making biochar. hauling woody debris from the forest. the vehicle, where it can be cooled and collected. herbicides, has expressed keen interest in the Carbonator 500. Original Innovation to help the technology gain a foothold in the Pacific Northwest. forest waste as a source of material for biochar that can then be used on farms. “This is an opportunity to create a bridge from the forest to the farm,” Archuleta said. 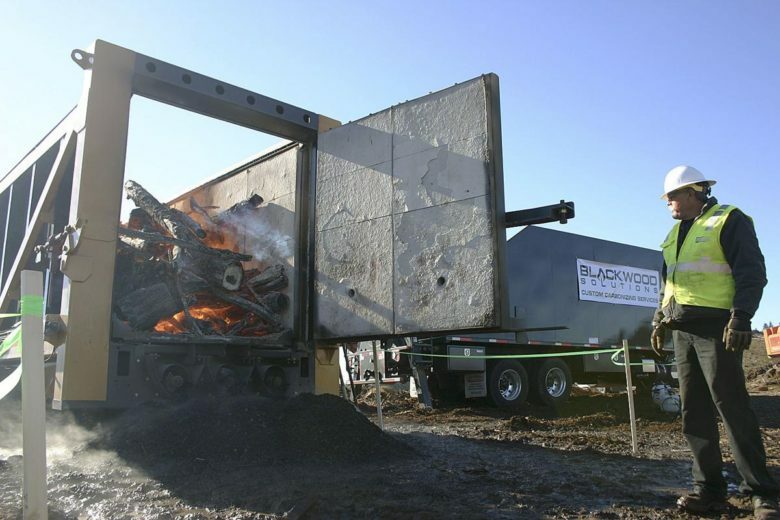 Biochar Initiative and helped to schedule the Carbonator 500 demonstrations in Oregon.